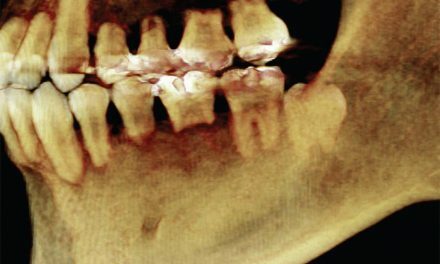 Erosion is the loss of tooth structure due to chemical dissolution by acids; it’s not of bacterial origin. 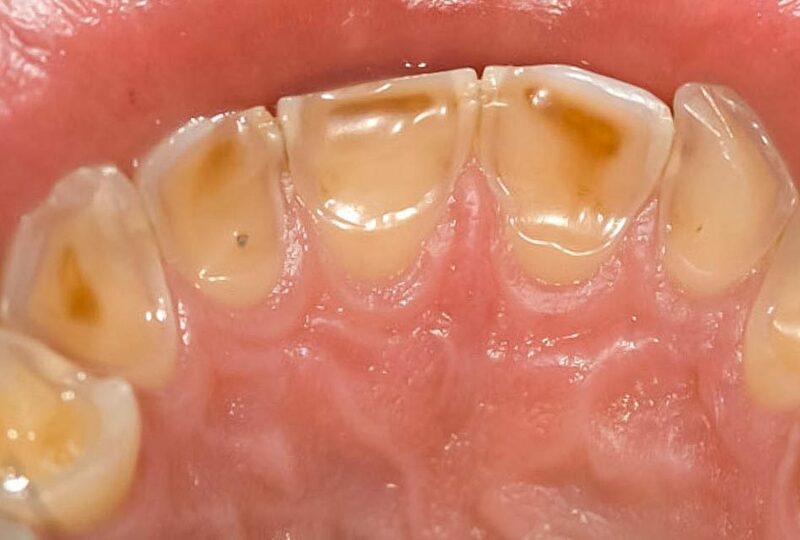 Erosion is found initially in the enamel and, if unchecked, may affect the underlying dentin. The most common cause of erosion is by foods and drinks. There are numerous clinical and laboratory reports linking erosion to excessive consumption of soft drinks such as energy drinks, fruit juices and carbonated drinks such as colas. 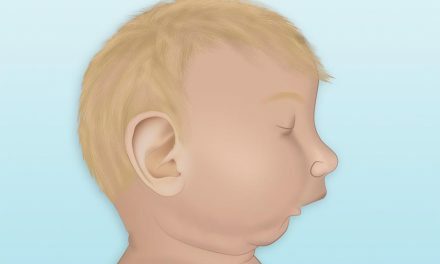 Other possible sources of erosive acids are from frequent sucking of lemon juice, exposure to chlorinated swimming pool water, and regurgitation of gastric acids. 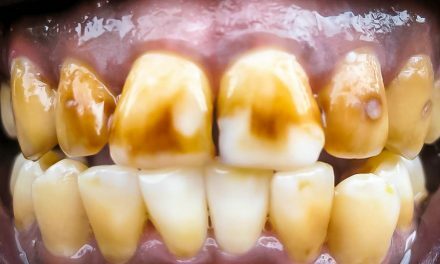 Signs of tooth destruction from erosion are a common characteristic in the mouths of people with bulimia since vomiting results in exposure of the oral cavity to gastric acids. Frequently, the appearance is a broad, rounded concavity. 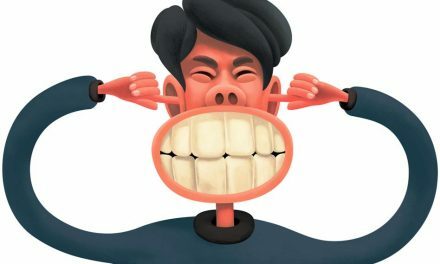 There can be evidence of wear on surfaces of teeth not expected to be in contact with one another (attrition). Wikipedia, the free encyclopedia (www.wikipedia.org). Medical dictionary by Farlex (www.thefreedictionary.com).